Experiences of a Lifetime...of a Happy go lucky!! : The Best Man Can Get..Truly!! The Best Man Can Get..Truly!! A Product Release like no other!! Technology has reached a level where you wonder what will be next. 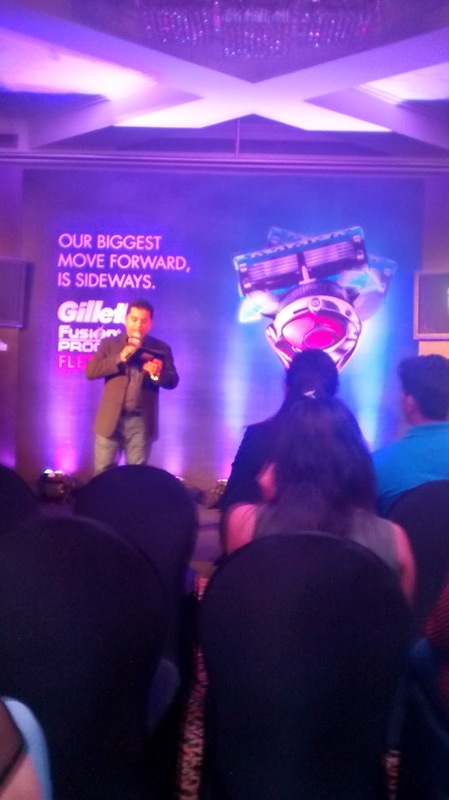 I was in for a surprise too when I got a invitee for the Bloggers meet of Gillette. 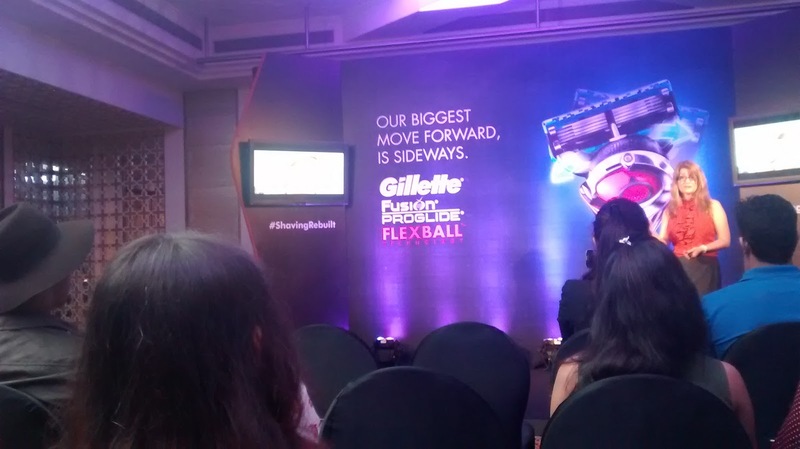 My Mind wandered off what could be the revolutionary product which Gillette (Known for their Men's grooming products) are launching! An Invite like this definitely made me even more excited for the event. 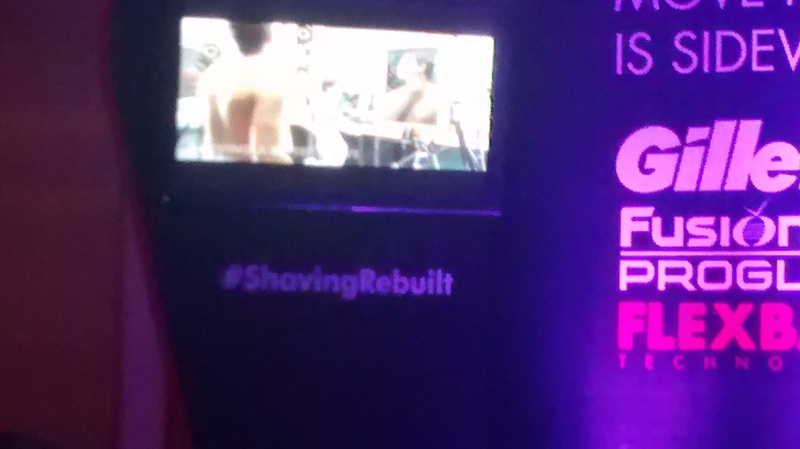 Being first one in the country to witness a revolution in Shaving! Amazing was i was expecting! Does your morning make you do such faces? Gillette's new Flexiball Technology was something which will be something even more exciting for guys who want to have a best shaving experience every time. The Event being on a weekday made me even more excited. I was driven in style at the event and since i was a little late the festivities had already begun there. We were serenaded to the seating area with lovely food & drinks. The Host begun the proceedings with why we were there and much to my surprise a Gillette Goodies bag for all the 15 invited bloggers. Now this was getting better, Here came in Amy Couture, the senior product researcher - basically person who made the new product (After 5 yrs of research into it as i learnt later). She explained to us philosophy, history and the product work that goes behind in making the Gillette razors (A work of science fiction - Good Stuff). Never knew so many clinical tests went in making a simple shaving apparatus. No wonder we men get the best they can get. • Improved Precision Trimmer – Enhanced blade, comb guard to align long hair and improved rinse-through slots. And wait this wasn't the only thing the older fusion cartridges could be used for this so that your older cartridges could be used in tandem. (So no more throwing away old variety of cartridges). And the average life of an cartridge as Amy told me was 1 month+ which meant more usage less changing of cartridges and more savings per shave. 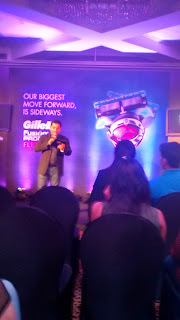 The Amazing finish the Gillette gave is what the product promised for and what an way to test it but to ask the bloggers to shave themselves to actually feel the experience. I was the one who by little coaxing and volunteering decided to use the Product for First time in India (Shave in Public yes you heard it right). Although i took my time to lather up and shave but it was Makkhan to be honest. 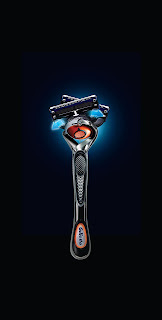 As Gillette said no more shave faces is what i experienced. 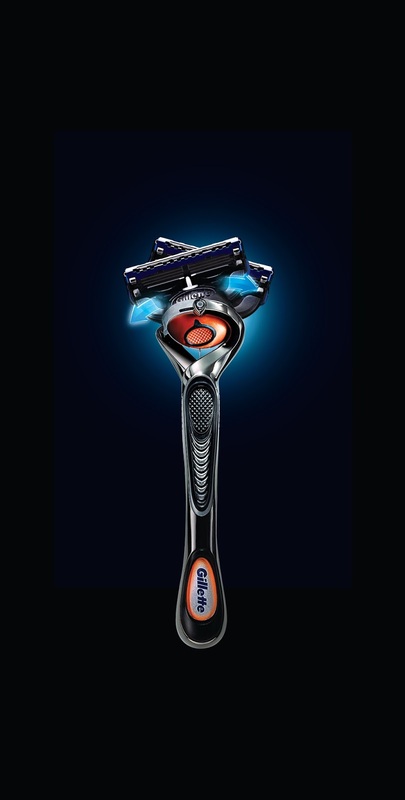 The Fusion Proglide just guides on your face and doesn't leave a hair standing the flexiball technology is one to change shaving for sure for men even women who want a shave. I have used this product at the event and have started using it at home (Part of Goodie bag). Trust me this product will change your mornings when you are always in hurry and need a good shave without making those Shave faces (And if you are sleepy person like me). Yes i did try to imitate how this guy did! And it worked.. 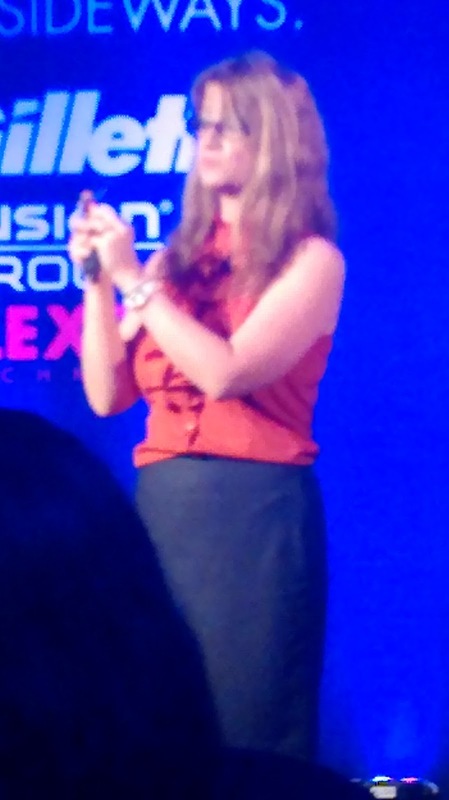 This product and its technology was wonderfully explained during the entire event by Amy & colleagues and i loved to be a part of lucky few to experience a revolution for men. The product will be launching soon in India so i recommend that try it to believe it as this is a best a man can get (Experienced by self). Nice blog. Thanx for the Awesome Review of this very useful product for men! Wok Express India.. Perfect Wok food!